When will I get the TRX rewards? The TRX rewards will be released after Cobo’s TRON super representative node has mined its first block. How much TRX rewards will I receive? A: TRX is a token of TRON which is a blockchain-based decentralized platform. It aims to build a decentralized platform for digital content distribution by bridging the gap between content creators and end content consumers. TRON is one of the largest blockchain-based operating systems in the world. Its high throughput, scalability, and reliability make it a perfect platform to support a very large number of users and transactions. Its highly effective smart contract system is even viewed as being more capable than Ethereum’s smart contracts. Q: Which consensus mechanism does TRON use? A: In order to achieve fast data processing speeds, TRON adopted a DPOS consensus mechanism to vote for 27 super representatives who will be the accountants of the TRON network. These 27 super representatives will be responsible for broadcasting the transactions data to the network, verifying and storing them into blocks. All TRX holders can vote for their preferred super representatives and get the shared rewards while helping develop the TRON community. Q: How does the TRON super representative node distribute rewards? A: The TRX super representative node mines one block every 3 seconds. The reward for each block is 32 TRX. Each super representative node can decide how much reward it will give to voters. Cobo super representative node will distribute 100% of the rewards to its voters. Q: How to start earning through the TRX reward wallet? 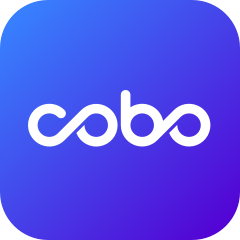 Open a TRX wallet through Cobo Cloud wallet. On the TRX wallet homepage, select the reward wallet and transfer the amount of TRX you want to stake.